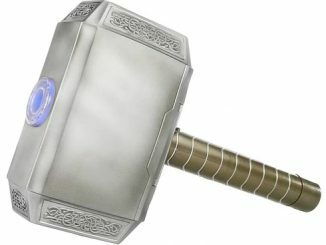 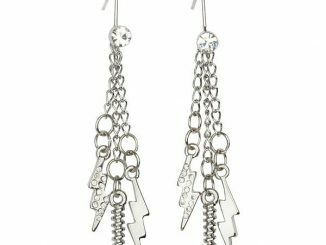 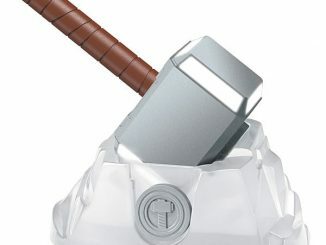 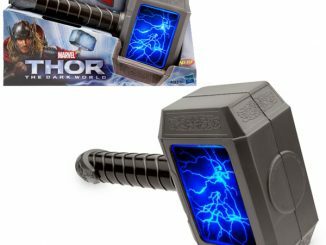 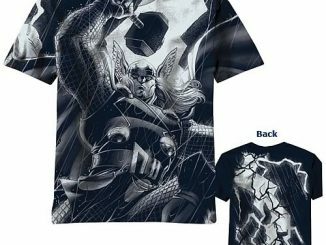 The Thunder God has never looked cooler (literally) than he does on the Thor Frozen Hammer T-Shirt, with his mighty hammer, Mjölnir, encased within ice. 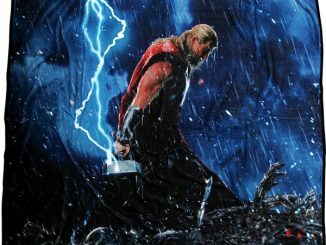 It looks like the Frost Giants are taking on Odin’s golden-haired boy, and Thor doesn’t seem pleased with how things are playing out. 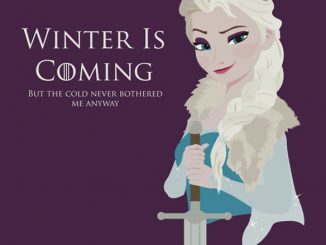 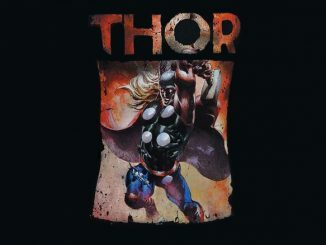 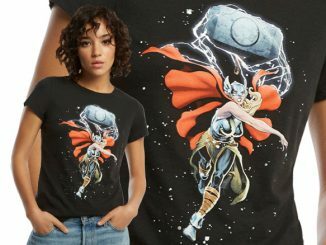 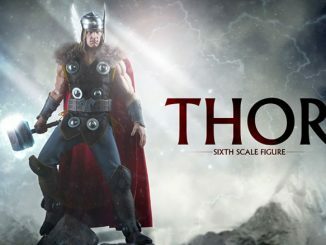 The image on the black t-shirt reveals Thor with a cloak of fur billowing out around him as snow falls and lightning flashes, with the Thunder God’s name spelled out in a stylish font. 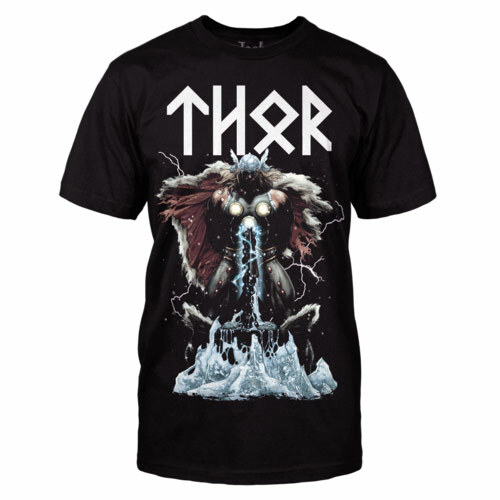 Add to your Asgardian wardrobe with the Thor Frozen Hammer T-Shirt for $25 at Jack of all Trades Clothing.